I was born on Aug. 1 1965, in Columbus IN. It's a nice quiet, low crime place. 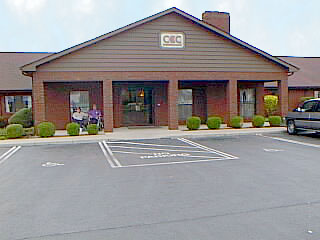 Currently I am living at the former Community Care Center of Columbus, now Willow Crossing Health and Rehab. Alvin Koffman and Scott Westcott enjoy the freash air. It's not bad for a nursing home. Check out your local nursing homes here. I have lived here since September 1997 and have developed a reputation as a "snitch". The reason is because when I see residents being neglected or mistreated in some way, I've never been afraid to report this facility to The Indiana State Board of Health. They can't stand it that I know my rights as a nursing home resident. 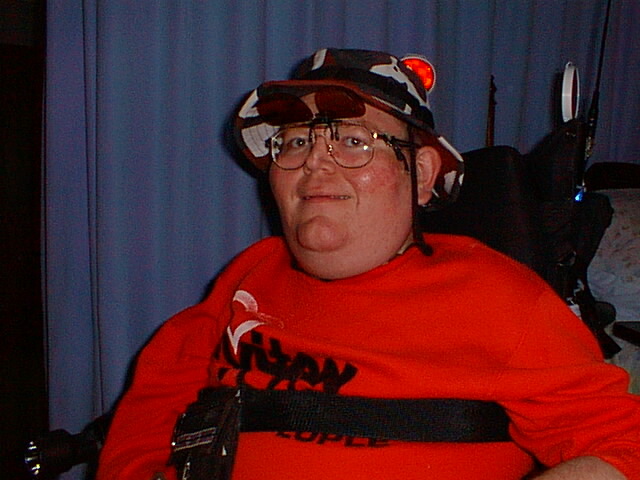 So far this year 2000 they've tried to transfer me twice to another nursing home! That's ok because the bank foreclosed on their buts and hired Sage Health to run the place, and things have gotten a lot better. That'll teach 'em to mess with us poor, old helpless, cripled people. I like to smoke. I don't do drugs, molest kids, spread AIDS, claim you'll be healed if you give me money, or sell used cars.If you don't like smokers sit across the street, find a different restaurant, MOVE! Tobacco is legal, relaxing and fun. Nonsmokers for the most part are piety, conceded, and overbearing. I have deushanes musculardistrophy the average life expectancy is 27. I attribute my longevity (34) to smoking a pipe 20 years, and dare anyone to prove otherwise. C'mon live a little! Here's some good thought out reasons to vote GOP. Ckeck out my links page here.